Detailed step-by-step tutorials that turn you into a WordPress theme developing machine. Use the knowledge to profit from a personal theme marketplace empire or simply build a custom theme for a client. Whether you are just starting WordPress development or a seasoned professional, we will make sure you get to the finish line. You will be able to follow along in our video tutorials as well as get into the code. The only way to learn is to start digging in! Forget about learning about every WordPress function (we don't even know them all ), lets get right into building a theme so you can quickly turn a profit. If you do not understand something, we want to know! You will have access to a private discussion forum and email for any support questions. Download the latest version to get ready for local setup. Get your local environment setup for WordPress theme development. 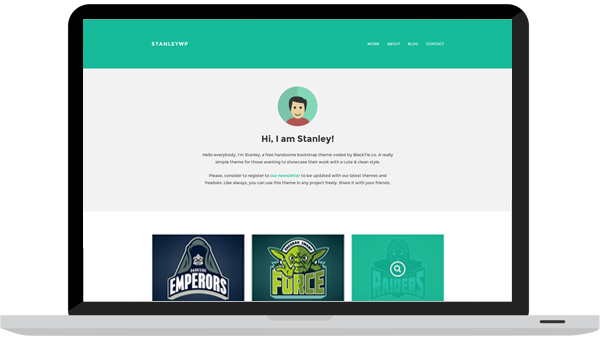 Download the starter WordPress theme and Bootstrap to get ready for integration. Let the fun begin! This is where you start developing your WordPress theme. 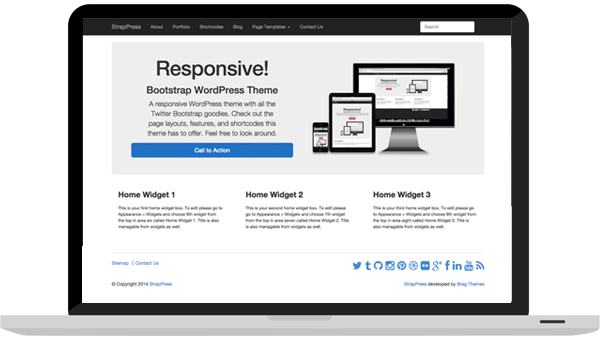 Follow the tutorials to add all the bells and whistles to your responsive WordPress theme. By now you should know the ins and outs of WordPress theme development. It’s time to add your own personal touch and push it live. 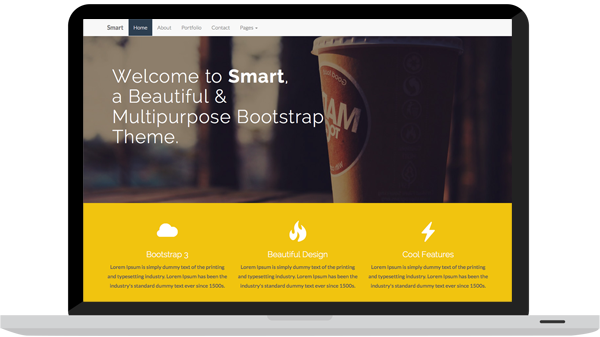 It's time to start learning how to create premium Bootstrap WordPress themes. Some of the Bootstrap WordPress themes created. BootstrapWP.com is the best site for learning WP/Bootstrap on the web today. And I know this because I have subscribed to a few different similar sites in the past and had difficulties picking up the material as the instructor assumed the student already had previous experience. I need a little hand holding. I like the way you clearly explain your steps in each video. As I'm not a PHP coder it's particularly helpful to me when you describe some of the lines of code and how it functions within the theme. 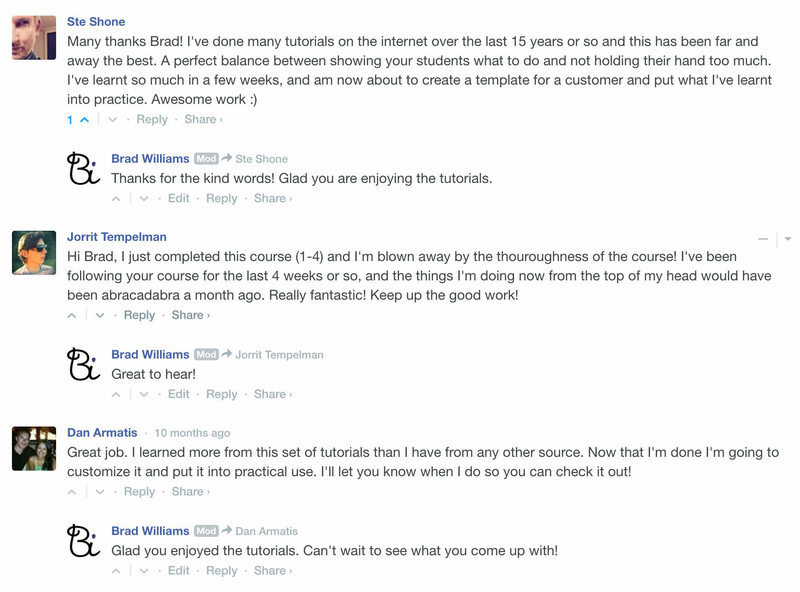 I started using Linda.com and after exhausting most of those resources I found Team Treehouse. A little too theatrical for me but I learned a lot. I then went to YouTube and found so much junk. After that I discovered your training. Now I have over a dozen websites under my belt and with your training, I have expanded my knowledge exponentially! BootstrapWP is great. I've been going through the first course to build the base theme. Your videos are concise, full of great info, and haven't found any hurdles yet. Also, the idea of having the sample code below each video with your notes is just so helpful. Thank you.